NOTE: Maximum custom width is 35 1/2". Standard depth options are 2.25", 3.25", and 5.25". 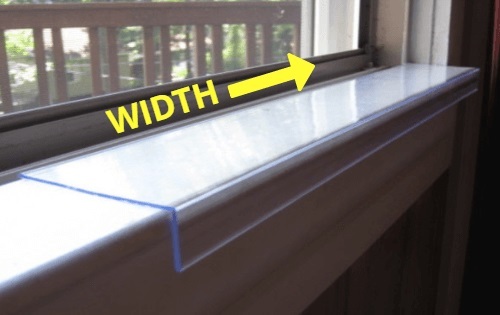 Custom width windowsill protectors, available in clear or white. 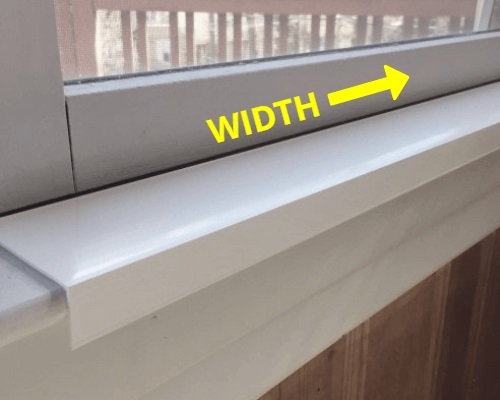 Enter your custom Sill Shield™ width (left to right along the length of the windowsill - maximum 35 1/2 inches long), and choose a standard depth (front edge of the sill toward your window: 2.25", 3.25", or 5.25"). 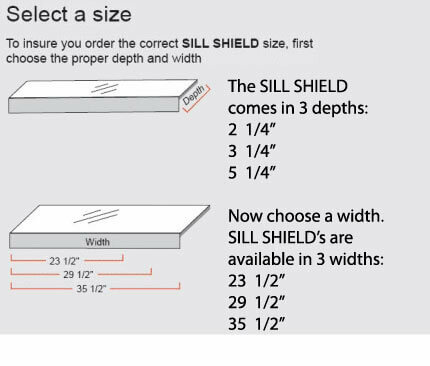 The quality of my original Sill Shield™ is superior to any imitation product, and that’s why I’m the only one that offers my exclusive lifetime guarantee: As long as I’m alive, they’re guaranteed - when I’m gone, you’re on your own. Easy to place order and it arrived very fast. Product exactly as shown . Love the lifetime warranty . I emailed to ask a question prior to purchasing and received prompt response. 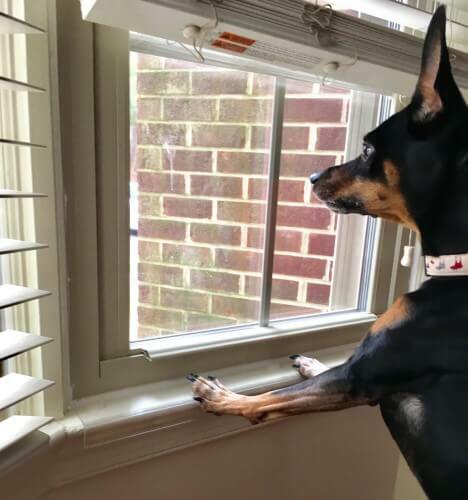 I have dogs that love to sit at the windows and patrol our house. They mean well but when anyone comes to the door or too close to the property they have always jumped on the sills and inadvertently scratched up the wooden sills. Thank you, thank you thank you! Gary was very easy to work with, and explained the options very well. Product shipped and arrived as expected. The finished cut pieces by Gary fit perfect, and Gary also included a scrap piece so that I could test cutting it to finish fit the last pieces to our application. Great Product, Great Service! This works exactly as described and the shipping was quick. We have just painted the sills due to claw marks from our dog jumping up to look out the window. Finally a way to keep it looking nice. 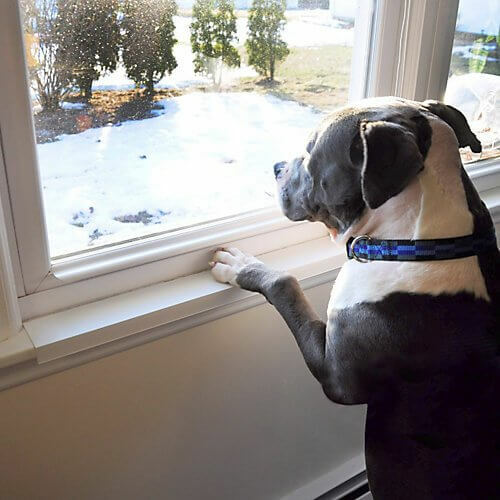 I ordered Sill Shields for three of my windows that my dogs constantly jump on. I inadvertently ordered the wrong size for one of the windows and Gary was super prompt in responding to me. He went above and beyond (and very quickly) to get me what I needed. Easy to install and works perfectly. Thanks Gary!